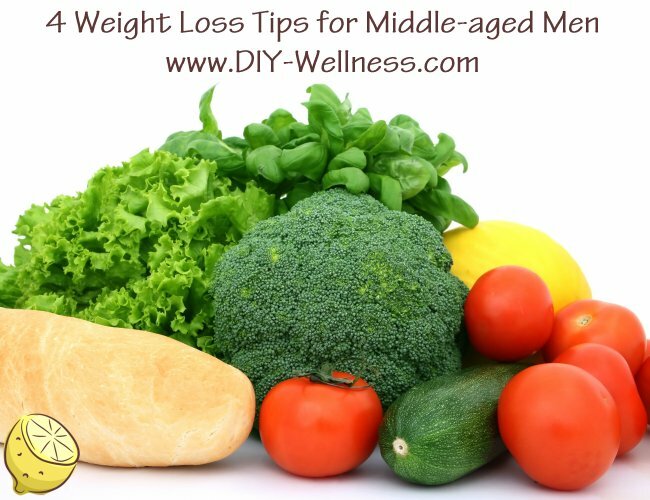 The weight loss tips in this article can be applied to people of all ages and genders. The reason it’s dedicated to ‘middle-aged’ men is because they face challenges that younger people don’t. By using these tips, they’ll be able to compensate for the effects of aging and lose weight more effectively. Weight loss is a journey. You’re not going to get there overnight. Depending on how overweight you are, it can take you anywhere from 30 to 90 days to see amazing results. Some seriously obese people may take up to 6 months or even a year to reach their ideal weight. What matters here is not the time that it takes. The time is going to pass anyway. What matters is that you stay the course. Even if the results come at a snail’s pace, as long as you stay on track, keep moving and apply the tips below, you will succeed. 1. Reduce your carbs: This is the most powerful tip of the lot. As you age, your metabolism drops and you burn less calories throughout the day. Carbs are calorie dense and it’s extremely difficult to burn off these calories if you’re not active enough. Furthermore, carbs start off a chain of processes in the body that involve raising your blood sugar levels and causing insulin insensitivity. This translates to fat being shuttled off to your fat stores for future use. It’s best to reduce your consumption of bread, pasta, white rice, etc. Veggies are a good source of carbs and you can consume them freely. Just avoid the man made carbs. 2. Do resistance training: You absolutely must build muscle in order to raise your metabolic rate. The more muscle you have, the more calories you will burn while at rest. It is actually ironic that most males are interested in building muscles and looking good when they’re young but once they’re married, they let themselves go. When you’re young, you do not lose muscle easily. However, after the age of 35, you lose muscle every year. So… it is MUCH MORE IMPORTANT to gain muscle when you’re in your forties and above. By building your muscles, your resting metabolic rate will increase and you’ll be less likely to gain weight and more likely to lose fat. 3. Do intermittent fasting: This is a very powerful method of losing weight. Basically, all you will be doing is consuming your daily caloric intake within a fixed time frame. If your eating window is 6 hours long, you’ll consume all your calories during these 6 hours. After that you will not eat till the next day. You won’t be starving yourself because you’re getting your daily calories. However, your body will have a much longer time to be in a fasted state and use calories from its fat stores instead of burning food for fuel. You will lose more fat in this way. 4. High intensity training: It would be a great idea to get programs such as P90X by Tony Horton or Insanity Max by Shaun T. These are NOT easy programs but there are modifier moves for those who are not as fit to follow. The intensity of these programs will boost your metabolic rate and create a situation in your body known as excess post-exercise oxygen consumption. So, even though the workout may only last 30 minutes, your body will be in fat burning mode for 6 to 12 hours after that. Pressure may turn coal into diamonds… but it also turns it to dust. The key to losing weight is to make incremental and measurable progress with time. If you stick to the program for 90 days, there is absolutely no doubt that you will lose weight. You’re never too old to start… so get started today.